GOBA camper services are offered by Knight’s Kingdom. Purchase of services is online unless noted otherwise. Refund requests must be made by May 15, 2019, and all refunds will be minus a $20 processing fee. There will be no refunds in the event of cancellation due to natural disasters, acts of god or acts of terrorism. Registration closes May 15, 2019. No refunds after May 15, 2019. A Knight’s Kingdom tent with set-up/tear-down in the Knight’s Kingdom camping area. Let GOBA do the work for you! Clean and fresh towel and washcloth each day. You’ll find the towel service every day near the shower trucks. Chair to use in camp. Must be returned by 8 a.m. on departure days. Registration of driver: $275, with one free registration for groups of 25 or more and two free registrations for groups of 50 or more. Registration closes May 15, 2019, or when capacity is reached. No refunds after May 15, 2019. A pass that allows a non-rider to bring along a vehicle each day and park it in the GOBA-rented facility. 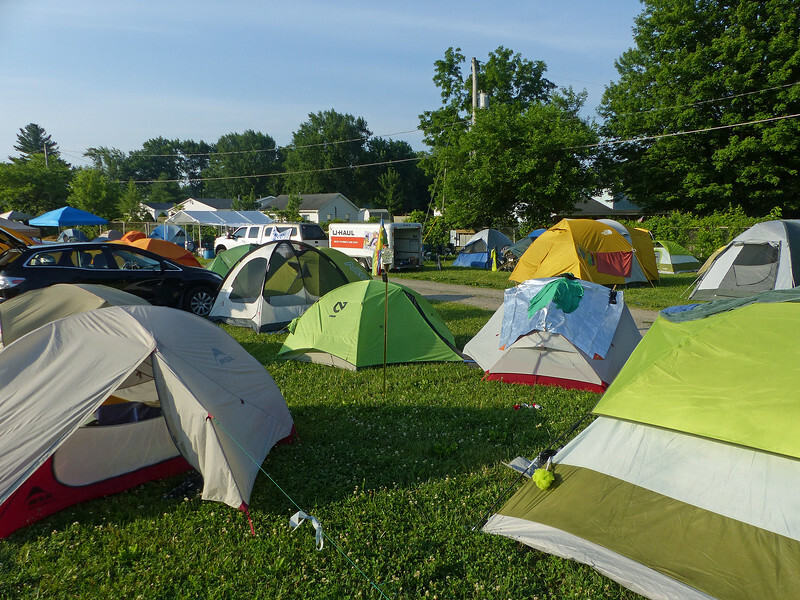 All drivers and campers must be registered as GOBA participants and must wear a wristband. No electricity, water or other hookups are provided. I and all occupants of the vehicle are registered, paid participants of GOBA 2019. GOBA wristbands are required. We will obey the instruction of local and GOBA volunteers and staff at the campgrounds. We will stay off the bicyclists’ route, except for GOBA-designated rendezvous points. We agree not to hook up to electric or water unless pre-arranged. We understand the pass is only valid in a particular camp for the night(s) that GOBA is camping there. We will drive with caution, remembering that, on this tour, bicyclists come first. We are not operating this vehicle during the event for profit or for commercial purpose. We understand that a vehicle consists of a car, truck, motorhome, van or trailer. The length of any tow vehicle shall count toward the overall length used in calculating the fee. The maximum length is 36 feet. The width of a vehicle or camper, regardless of length, shall not exceed 9 feet, including slideouts. We will not use an auxiliary, gasoline-powered generator. We will not bring a pet to GOBA, per GOBA policies.